“I think now, looking back, we did not fight the enemy; we fought ourselves. And the enemy was in us. The war is over for me now, but it will always be there, the rest of my days as I’m sure Elias will be, fighting with Barnes for what Rhah called possession of my soul. There are times since; I’ve felt like the child born of those two fathers. But, be that as it may, those of us who did make it have an obligation to build again, to teach to others what we know, and to try with what’s left of our lives to find a goodness and a meaning to this life. – Private Chris Taylor (Charlie Sheen) from the Oliver Stone movie Platoon. I have watched this movie umpteen number of times and many others about the Vietnam War, that moved the entire generation (flower children et. al.) to fight for peace, to really find what Private Taylor says – find a goodness and a meaning to this life. Really powerful and prophetic words with generations were eventually forgotten as war moved to other parts (middle east in particular). However, what remained in Vietnam, a costly victory accompanied with suffering and strife can never be forgotten. With this image in the back of my mind, I started our trip to Vietnam starting with Hanoi. 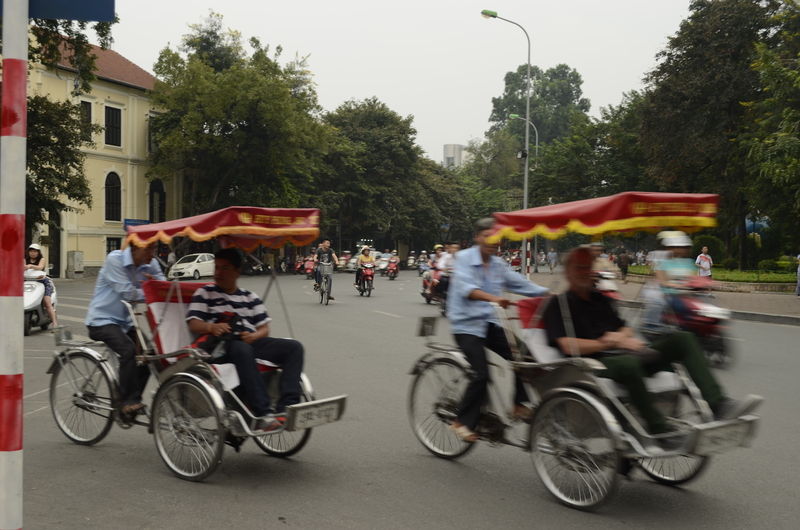 October 2013: The first stop was Hanoi. 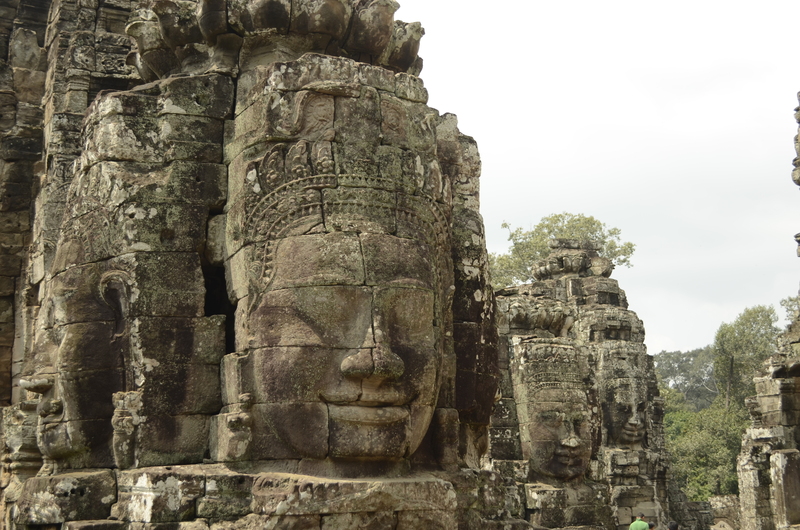 And again (like it was in Cambodia) it was a relief to flash our e-visa and enter. However, looking at the Communist red stars on the uniform and all around was not so “relieving”, any problem we could be jailed/disappeared and sent to the Siberian equivalent here (again too much of pre-cold war Hollywood movies playing mind games). But the scare was not over yet as a particular official said he wanted to talk to us. 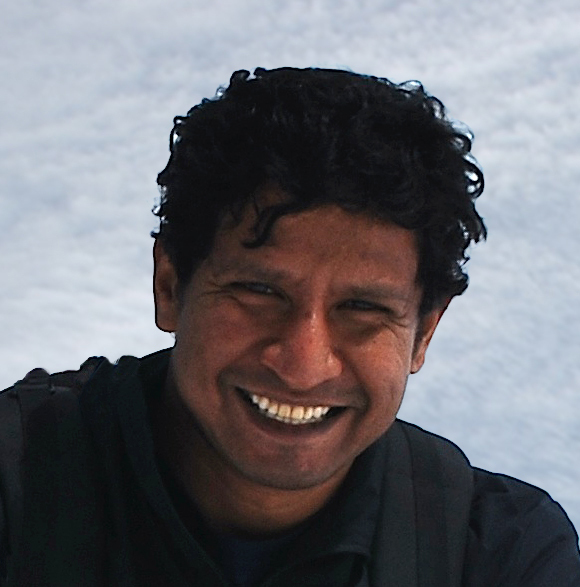 The stern faced official suddenly gave way to smiles as he recounted his trip to New Delhi six months ago. It was relief to the power infinity!!! Now we really didn’t want to break his heart, so just nodded and smiled. The joy (though short-lived) was also due to the fact that we were millionaires in Vietnamese Dong (local currency) if you do the usual conversion (1 USD=21,000 VND). Hanoi is situated in the North Vietnam. It was the capital then (during the war) and after re-unification with South Vietnam still remains the capital. It is like any big emerging city dealing with the infrastructure requirements. 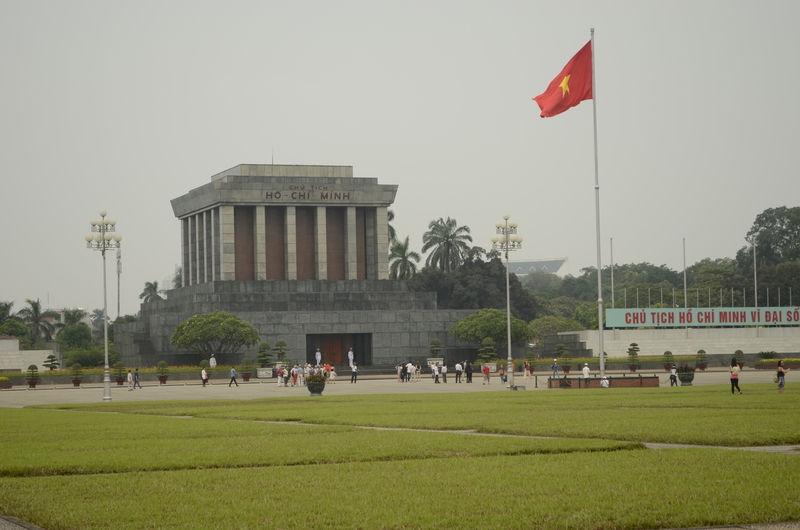 One of the places to visit is the Ho Chi Minh Mausoleum. Uncle Ho as he is fondly called is a revered figure in Vietnam and deservedly so. We visited his house which small, simple and basic. This speaks lengths about this great personality, who fought for the independence from the French and waged a war against the US to unify the country. There is a Ho Chi Minh museum near the Presidential Palace, which is also worth a visit. The best way to get around in Hanoi is through Taxis for longer distance. However, it is advised to take taxis of reputed companies like Hanoi Group and Mai Linh as the other operators tend to fix their meters. There are always the cyclos for shorter distance. A joyride is mandatory in them. 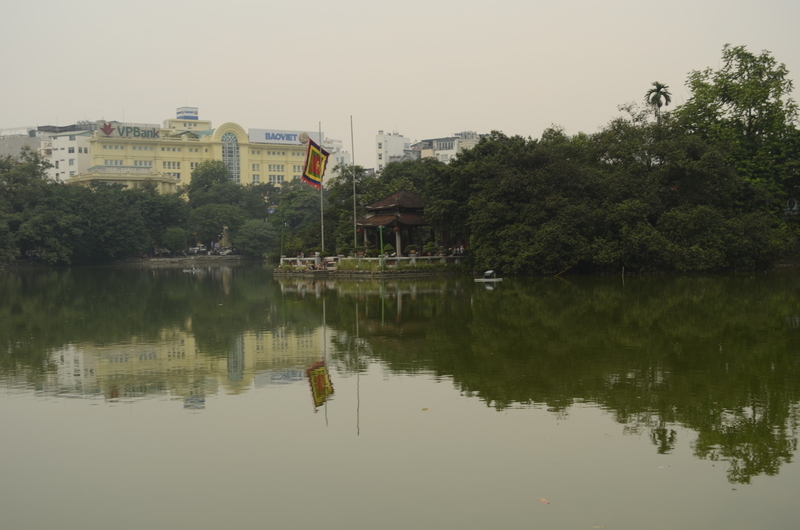 One of the pleasant parts of the city is the Hoan Kiem Lake. 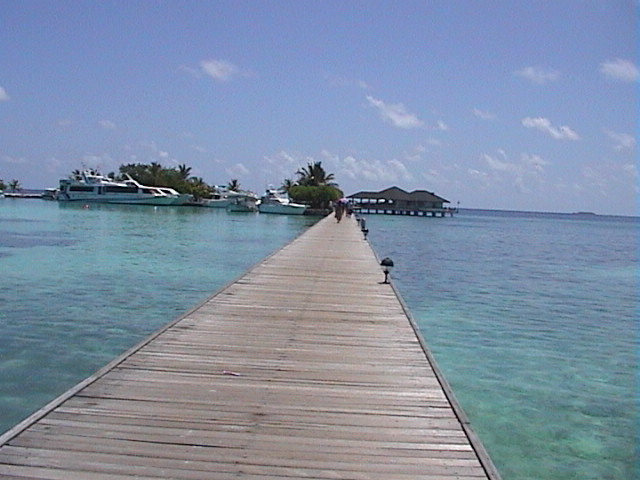 It is a pleasant park in the centre of town, within easy walking distance from anywhere in the Old Quarter. Near the lake is Thang Long Water Puppet Theatre. It’s a very unique art form as the name suggests. 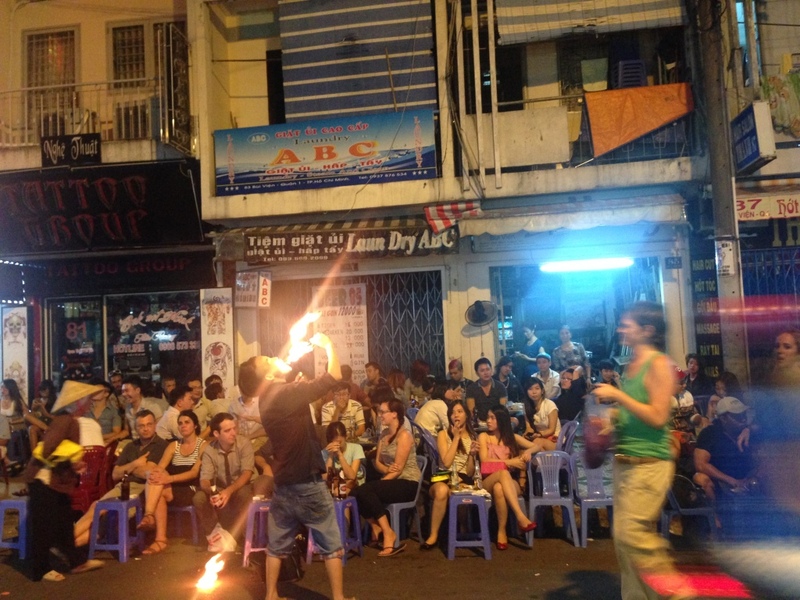 This is a must do in Hanoi. However, one is advised to book tickets well in advance, as the shows are usually booked. Hanoi, not well known for the nightlife has a different flavor in the evenings as bars and restaurants expand into the streets with the rustic low stools to sit on. It’s quite an experience drinking this way with the tourists and the locals. There many museums one could go to but the good ones (that we also went to) are National Museum of Vietnamese history and Vietnamese Women’s Museum. 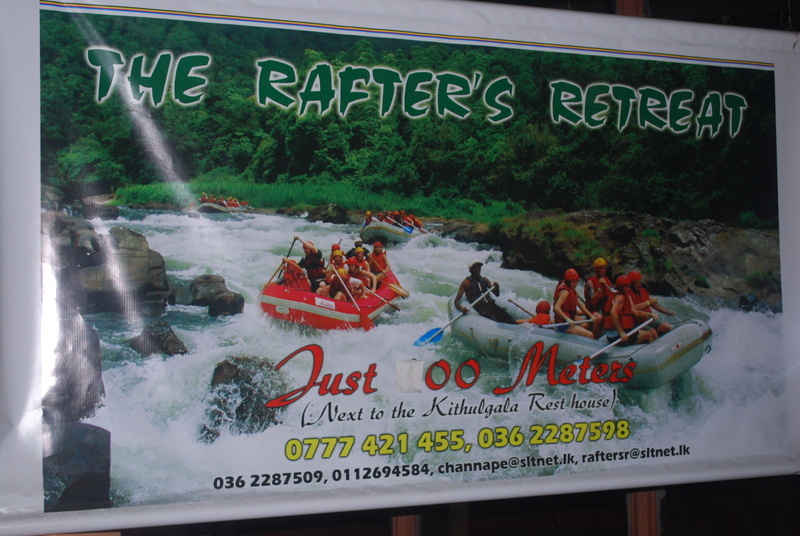 Honestly, the latter one we entered as we had lots of time to kill and it was raining (lot of wet climate so carry umbrellas), but it was a great experience. One of the side trips should be the Halong Bay cruise, which is awesomely beautiful. Halong Bay in the South China Sea features thousand of limestone karsts and isles in various sizes and shapes. Unfortunately for us we drove all the way to discover that the cruise has been cancelled due to the typhoon Nari. So we had more time to kill in Hanoi. After four days in Hanoi we flew to the ‘namesake anagram’ Hoi An (we joked). However, it was more than a joke. It was one of the most beautiful and quaint places we have seen. 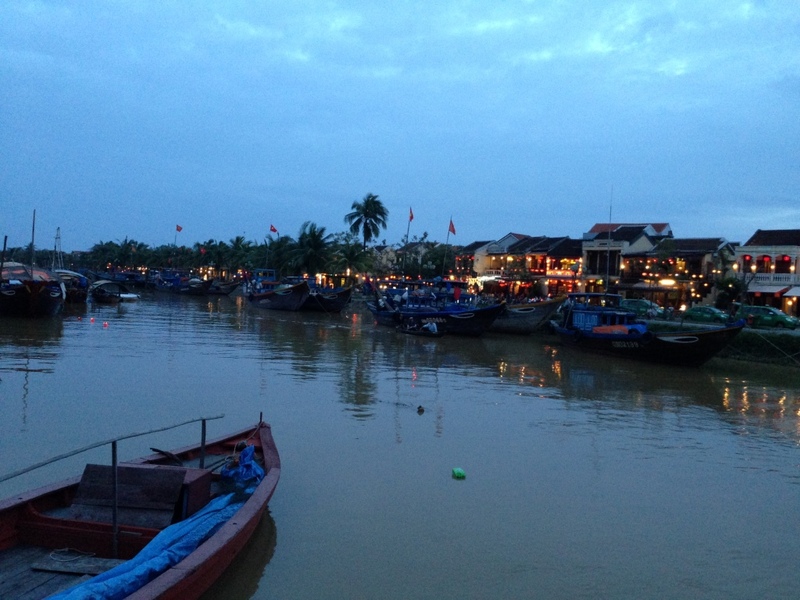 Hoi An is an ancient town and is recognized as a World Heritage Site by UNESCO. The city possessed the largest harbor in Southeast Asia in the 1st century and was the hub of trade since then. 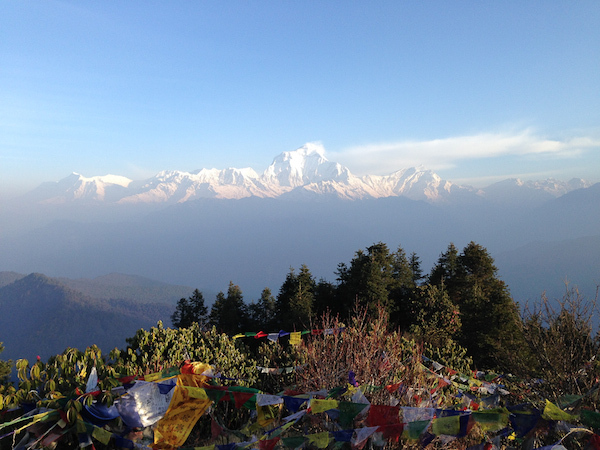 The town was created by the Cham people (Champa Empire – 1st to 10th century) who incidentally followed Hinduism. This is further validated by many ancient ruins in the region of Hindu temples dating back to 3rd century AD during the Cham dynasty. Surreal !!! Isnt it !!! Hoi An means “peaceful meeting place” and it is as serene as it can be. The main place to hang around is the old town, where we spent both the days roaming around the marketplace and hanging at the cafes. And it comes to life in the evenings as the colourful Chinese lanterns are lit across the streets emanating warm vibrancy and mystique to the place. The best way to roam around is cycling. Though as a pillion rider you will not agree with me, since we got lost and were drenched in the rain one of the nights (briefly though). If you are a foodie and even if you aren’t, this is the place to fall in love with the Vietnamese cuisine. If you have time you should enroll in a cooking lesson. Hoi An is a city of tailors. Every other shop is a tailoring shop. It usually takes 24 hours to get a dress, suit stitched. It may be a good idea to get that done. 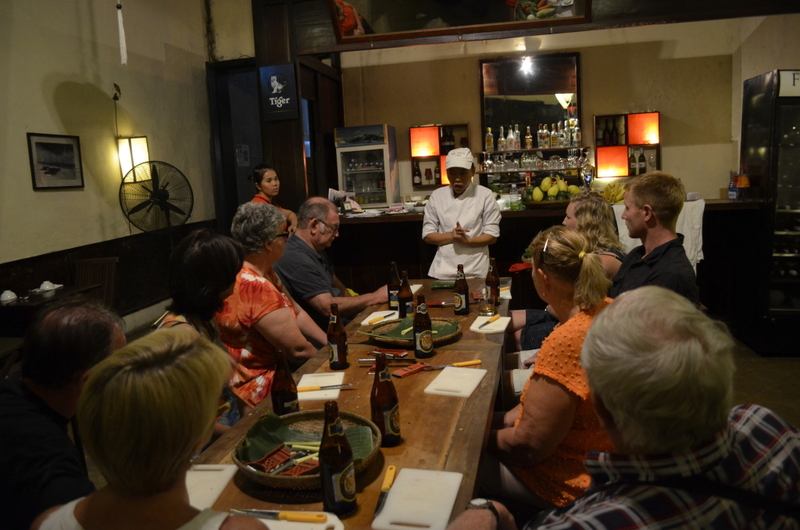 As we left for Hue, we were also struck by the warmth of the people in Hoi An. A great place to come back again. A huge blast is followed by a deafening silence. Hue is in the central region of Vietnam and is the former imperial capital. The city was under siege for days during the Vietnam War and there was battle on the streets for many days till the Viet Cong captured it from South Vietnam forces. As we drove in the car from Hoi An towards Hue, we were pleasantly surprised with the awesome view we encountered along the way (train journey through this route is recommended). The slightly hilly and misty parts along the sea after we crossed Da Nang, a big commercial city, is a treat to the eye. 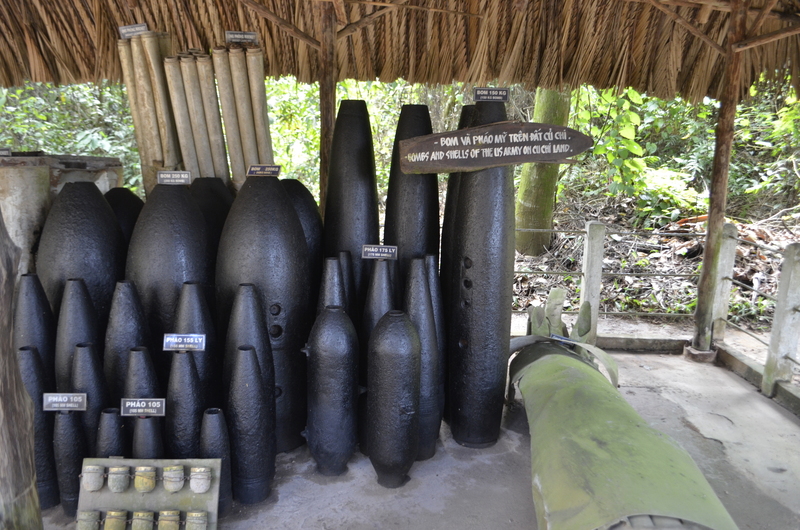 One also gets conscious of the fact that this was a battleground during the Vietnam War as we see lot of relics from the war – abandoned bunkers, empty ‘bomb shell’ (related to weaponry and not what you are interpreting :)). 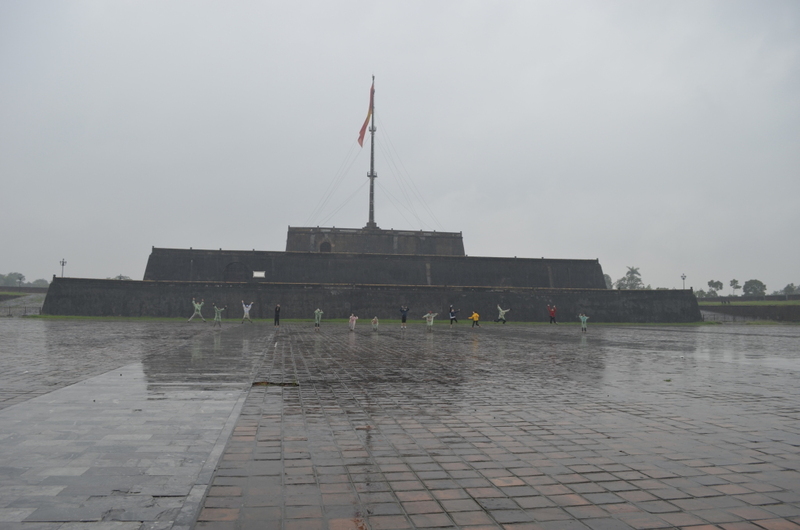 Hue is well known for its historic monuments, which are UNESCO’s World Heritage Sites. The seat of Nguyen emperors was the Citadel on the North side of the Perfume River. 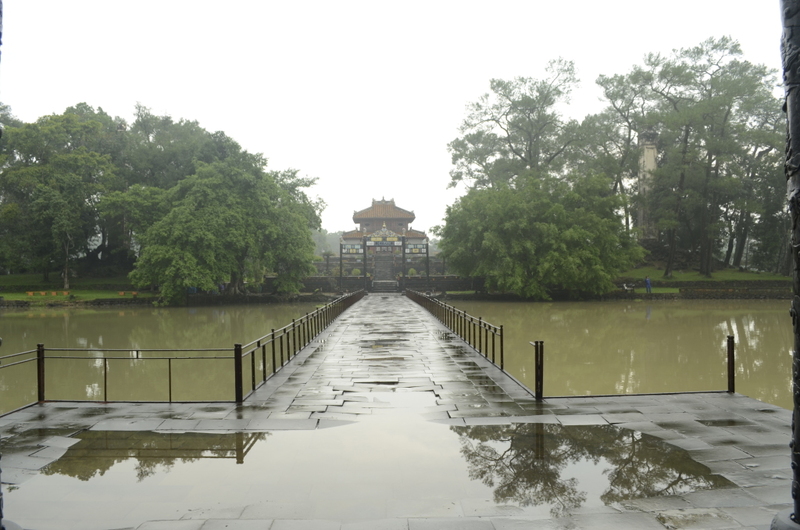 Along the river lie many other historic monuments including tombs of several emperors – Minh Mang, Khai Dinh and Tu Duc. Please do not try to visit these monuments cycling or taking a bike (we decided otherwise in the last moment and took a car instead thankfully), as these are quite far away from each other and one could get lost if one is looking at the map that is typically not built on scale. Hue also has Quoc Hoc High School, the oldest high school in Vietnam, which is also the alma mater of many known revolutionaries including Ho Chi Minh. In popular culture second half of Stanley Kubrick’s film Full Metal Jacket takes place in and around bombed out ruins of Hue. Formerly named Saigon, is the largest city in Vietnam. 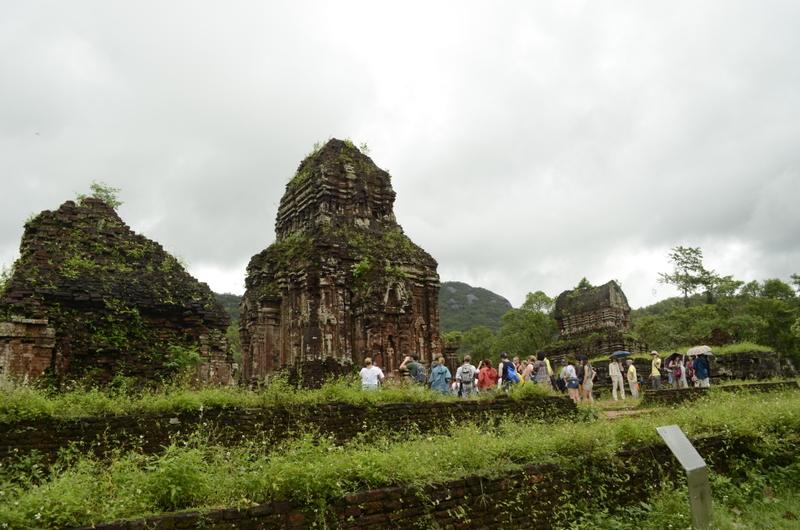 It was the capital of South Vietnam during the War. It is like any other big city, however, it is well planned with very good infrastructure. There are lot of two wheelers as it is in the rest of the country. 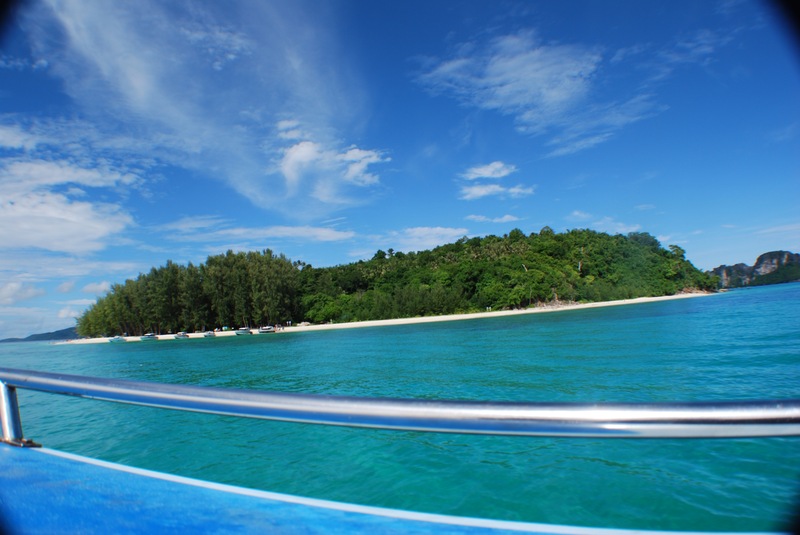 It has an amazing nightlife esp. the backpackers street which just erupts vibrantly in the night and is extremely reasonable to the wallet. We happened to meet an old friend of ours here who happened to be in the city for business at the time. During our two days, we went to explore the Mekong Delta and Cu chi tunnels – two different day trips. 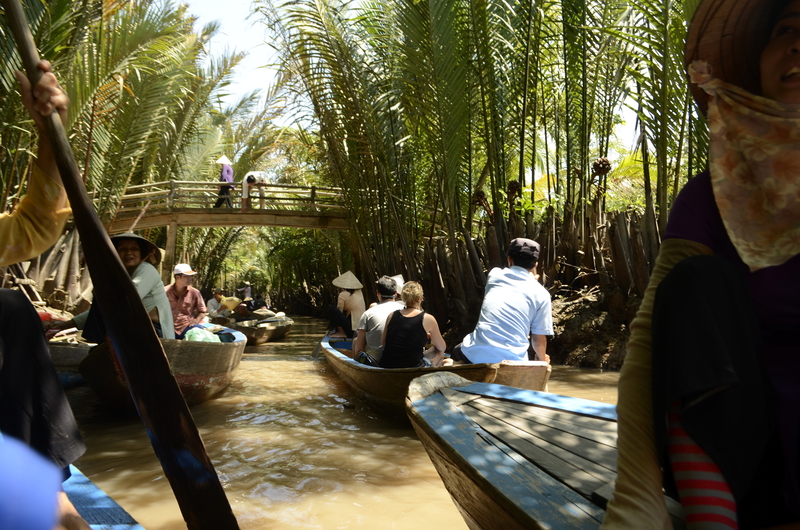 Mekong Delta day trip is a pleasant boat ride in one of the world’s most famous river delta network (a river that passes through seven countries). The delta region is also dubbed as a “biological treasure trove” because of the number of species (more than 10,000) found in the area. Cu Chi Tunnels (40 km from Ho Chi Minh City) are a network of tunnels dug with simple tools and bare hands and spread over 200 km. During the Vietnam War thousand of villagers lived in these tunnels after they villages had been bombed. Cu Chi people sympathetic to the Viet Cong, young and old, slept, ate, planned attacks against the US soldiers and lived their everyday life in these tunnels for years. We were taken to explore the tunnels (only 40 m), sheer claustrophobia made us come out just after 20 m. It left us pondering how these people lived here for years. Along the way we were also taken to a factory that was run by the victims of the chemical warfare (agent orange in particular) waged by the US during the war. The workers were the 2nd and 3rd generation but the damage had been done with congenital disabilities afflicting them all. It was a heart wrenching site, but kudos to them as they proudly worked at the factory to earn a living. Back in the city, Ben Thanh market is a great place to shop and hang around. You are expected to bargaining in all the shops. We picked up quite a bit of stuff incl. a typical Vietnamese farmer’s hat. There are some great places to eat. I would esp. like to single out Nha Hang Ngon near the reunification Palace. Its an open place and serves awesomely delicious Vietnamese Cuisine. There are many other places to hangout and I am not talking about McDonald’s or Starbucks (who would’ve thought that these symbols of American capitalism would enter this formerly enemy communist state). However, much of the war legacy can be seen esp. 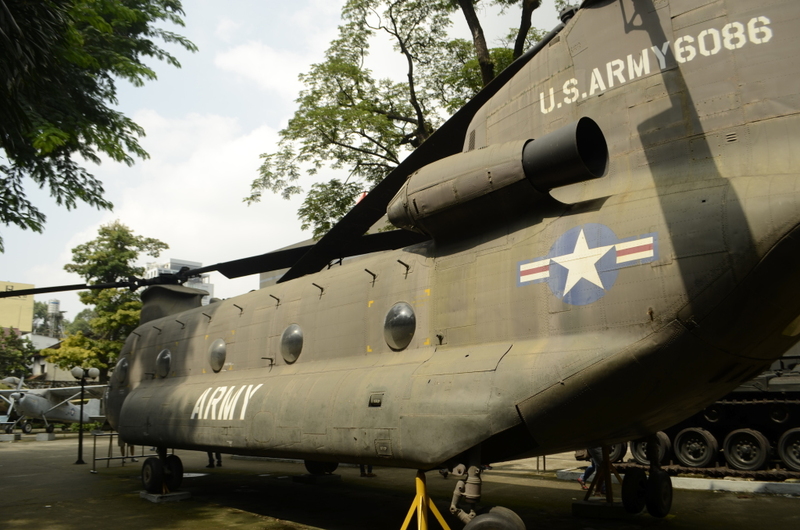 at the Reunification Palace and War Remnants Museum, that houses the weapons, armory from the war along with the tragic memories, atrocities and killings in the form of pictures and documentaries in the museum. It is one sad place but it is a stark reminder what this country has gone through and not just in the recent past but close to 2000 years to be finally independent (as it was occupied some foreign power or the other – China (111 BC to 938 AD), France, Japan, US). We felt that maybe this history and legacy is what drives the Vietnamese today as they cherish this freedom. A common Vietnamese (esp. the woman) we observed is very hardworking, and with technology making inroads into the country this nation is about to take huge steps towards progress. Further, the warmth and hospitality of the people of this nation will always be cherished by any visitor esp. us. 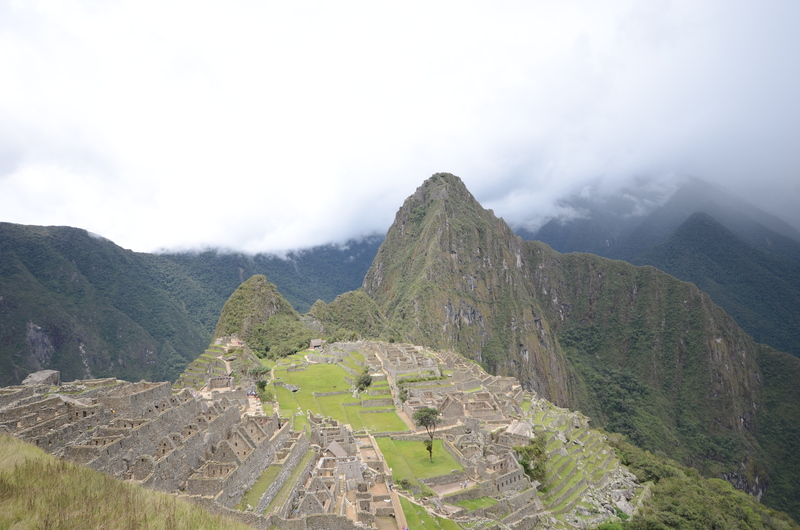 And I will be back to visit some of the places again and to visit the ones we missed esp. to cruise in the Halong Bay and trek in the Sapa valley.